Backstreet Boys (BSB) have scored their first No. 1 album in nearly 20 years with DNA. The album, released on January 25th, tops the Billboard 200 Chart after being released a week ago. The project also debuts at No. 1 in Canada and in the Top 10 in over ten territories. Beginning on May 11th, the group will set off on the DNA World Tour, their biggest arena tour in 18 years. Over the course of three months, the guys will perform all over Europe and North America, headlining venues such as the Staples Center in Los Angeles, the Barclays Center in Brooklyn and the Bridgestone Arena in Nashville. Tickets are on sale now via LiveNation.com with each ticket purchased to the North American headlining tour will including one physical copy of DNA. BSB analyzed their individual DNA profiles to see what crucial element each member represents in the groups DNA. Watch the video to see how their individual strains, when brought together, create the unstoppable and legendary Backstreet Boys. 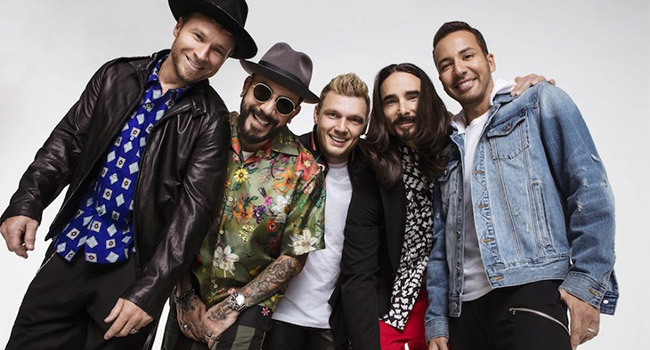 After 14 months of setting and breaking records in Las Vegas, BSB’s residency Backstreet Boys: Larger Than Life will come to an end on April 27th.